Neutrogena Ultra Sheer Dry Touch Sunblock SPF 50+ PA+++ with Helioplex is a breakthrough in sun protection, Stabilized with Helioplex, it provides superior balanced broad-spectrum protection against skin-aging, UVA and burning UVB rays, and combines it with Dry Touch technology for an ultra-light, non shiny finish. This lightweight sun block has a light fresh scent and is gentle enough for even sensitive skin. Apply liberally on face and body 15-30 minutes before sun exposure. For added protection, reapply after swimming, towel drying or extended sun-exposure. Rs. 175 for 30 ml. 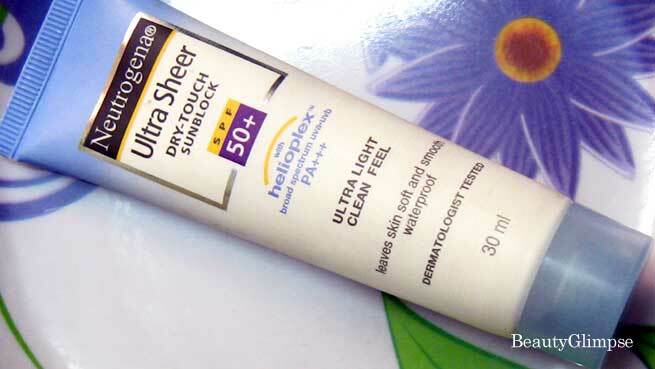 The packaging of Neutrogena Ultra Sheer Dry-Touch Sunblock SPF 50+ is very sleek and smart. 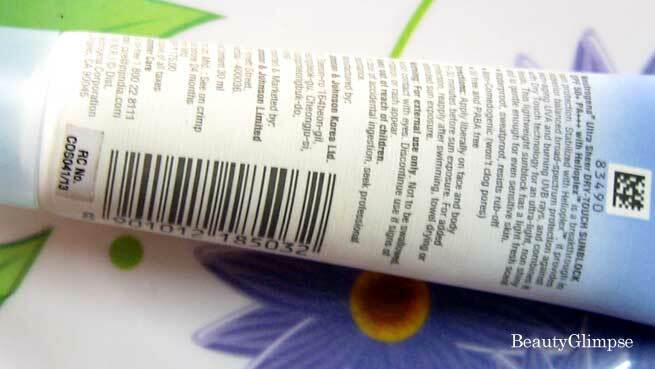 It is a small, handy white tube with sky blue edge and semi-transparent screw cap. The opening is not very large and it comes with a sliver foil seal for ensuring the first-time use. 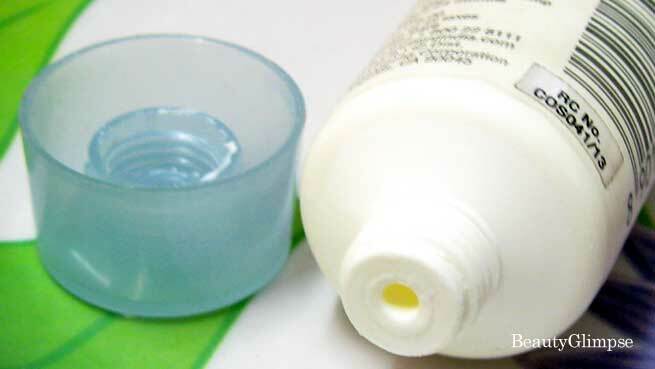 The tube can be squeezed very easily to take out the required amount of product. The cap of the tube is tight enough to make it convenient to take with you during travel. The product is milky white in color with a thick, creamy texture. Apparently, the consistency may seem to be too heavy for the skin as most of the similar products are found to be runny. But it is actually not like that. It is absorbed by the skin after a little massage and doesn’t feel heavy at all. It suits my dry skin very well and I was quite surprised to see how well it moisturizes my face! There is a very light floral fragrance, which fades away within 15 to 30 minutes of application. The dry-touch claim of the company is true to some extent. Well, I’m not saying that this sunblock makes my skin oily or greasy. It definitely gives a clean feel without a shiny look. In fact, I like the fact that it doesn’t leave a whitish cast like most other sunblocks available in the market. But you may not get that dry-touch and perfect matte finish. Rather, it offers a dewy appearance with clean, non-shiny finish and I totally love it. SPF 50+ and PA+++ (!!!). Just amazing! Prevents the skin from getting tanned. TRULY. Doesn’t make the skin look greasy. 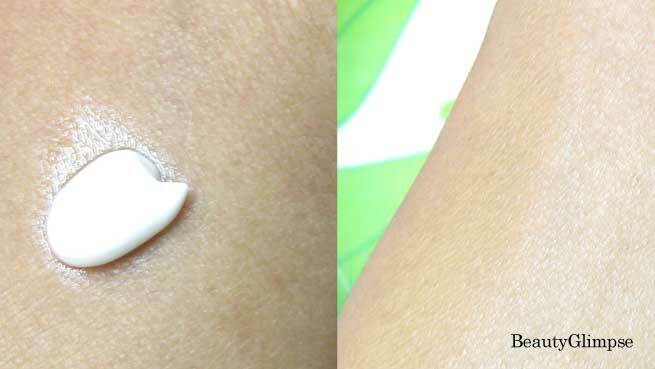 You can get a perfect dewy finish with no visible shine. It is a blessing for me and I’m sure that all dry-skinned beauties who are looking for a non-greasy, light weight sunblock with broad-spectrum sun protection will also love it completely. Make it your HG sun protection and forget tan!